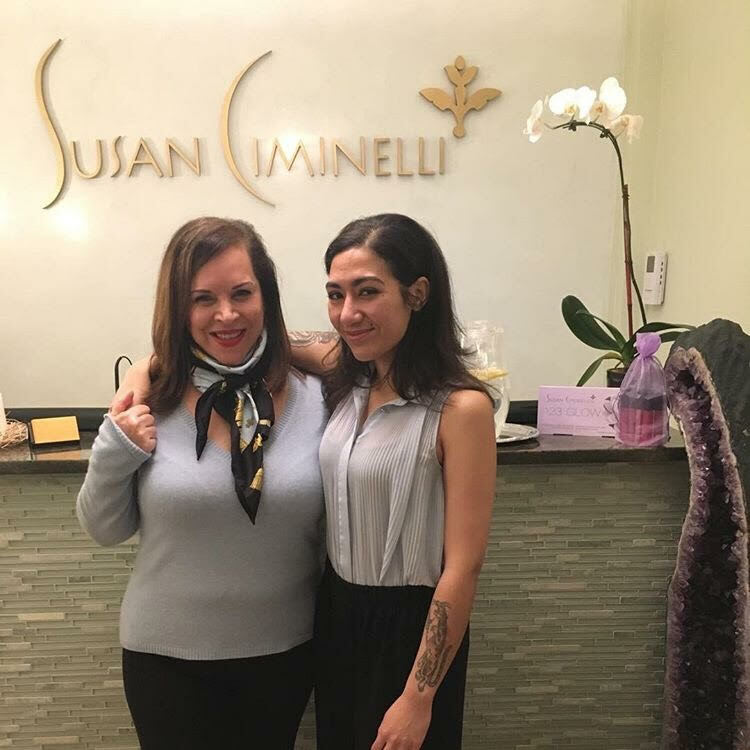 Do you curious what’s new at Susan Ciminelli Spa? We do! MTF: Were you always such a peaceful, serene person? Susan: I strive to be peaceful, but it takes effort. I silently repeat a mantra whenever I am awake to keep me centered in my heart. This helps a lot. I also meditate daily which is the most relaxing thing any person could ever do. It gives you an indescribable feeling of deep-rooted calmness and serenity. MTF: We see that you have it all under control inside of your spa! But how do you handle stressful situations outside of the spa? Susan: Same way, I repeat the mantra all the time silently. May sound boring, but it helps me deal with the noise pollution and stress of living in NYC and running a business. I am really busy so I need to have a handle on my mind and emotions. MTF: How do you create such a relaxing environment for your clients inside the spa? Susan: I set the tone at the spa. I treat my staff with love and respect so in turn, they treat each other and the clients the same way. The crystals help the ambiance plus I burn an Indian incense that makes people feel relaxed as soon as they smell it. I try always to keep the vibe serene because our clients need a place to decompress while getting pampered and rejuvenated. MTF: How would you calm nervous client who has never received a facial before? Susan: I approach them with a calm voice, and I approach them with love. People pick up on that and it immediately makes them feel more secure. Plus they see my skin and want to know my secrets so this is a big plus as well. Also, knowing I have a large celebrity following for the last 33 years helps make nervous clients feel more comfortable as well. MTF: NYC can be such a chaotic place to live, work and play. Do you think that individuals who live in cities should receive facials more frequently because of the environmental pollutants and stress factors? Susan: Air pollution affects the skin and so does breathing in second-hand smoke while on the streets. Also, the noise pollution makes people’s skin react because it causes such great levels of stress on the nervous system. People living in cities need to take extra vitamin B and C, D3 and milk thistle daily. If they do, their immune systems will be better off. Plus they need to eat a healthy balanced diet of organic foods. Exercise is key as well. MTF: Do clients often fall asleep on your table? Would you consider if rude if they do so? Susan: Yes, sometimes they fall asleep, and sometimes they go into another level of consciousness that is almost like a dream state. It is very healing for their nervous system. The nervous system tells the body how to function and what to do at all times. Having control over your mind, your emotions are more balanced, and this is healthy for your nerves. And your skin benefits from it as well. When people are nervous, they don’t take good care of themselves, and they make poor lifestyle decisions that greatly impact their health and wellness which in turn affects their beauty. A nervous person cannot go to the bathroom properly, and their internal plumbing gets clogged which makes them break out and have rosacea as well. It also gives them large pores and dark circles under their eyes. MTF: We understand that you use chakras to help bring energy into balance during facials. Is there a chakra that you mostly focus on? Susan: I use crystals on the chakras that help balance the energy in the body, and it calms the mind and feeds the soul. A person living in balance gives off a radiant beauty. MTF: Would you recommend clients to do “peels” at home? Do at-home treatments sometimes create more problems? Susan: I just created the Susan Ciminelli 123 Glow do it yourself facial kit for home use. It is a wonderful treatment that is so easy to use. It is as powerful as it is gentle. After the skin is cleansed, the first step is to apply a peel made from lactic acid which helps dissolve dead skin cells and impurities in the skin. Right on top of that, the organic Hyaluronic acid is applied. This acid is naturally abundant in a young skin. As we age it dissipates, and the skin shows premature signs of aging. 1/4 of the vile is reserved for the last step. Over the hyaluronic acid, a creamy, nourishing mask is applied to the skin. It stays on for about 20 minutes. After it is removed with a warm damp washcloth, the last bit of the hyaluronic acid is applied. This treatment is super safe and it can be used for all skin types and all ages. It is never too early to start caring for your skin. I don’t believe in harsh chemical peels because they irritate the skin and thin the collagen causing premature aging. MTF: Are there any trending skin treatments in the beauty industry right now? Susan: I don’t follow the trends because they tend to destroy the skin. I also just created a mask as an add-on treatment during our facial. It is made with organic Matcha tea, organic honey, and herbs. The skin is amazing after it is removed. I love our treatments because the skin is transformed during the facial. You don’t look horrible after treatment. Your skin is radiant, and you feel relaxed and happy when you leave the spa. It is so cool to offer this type of service to people. 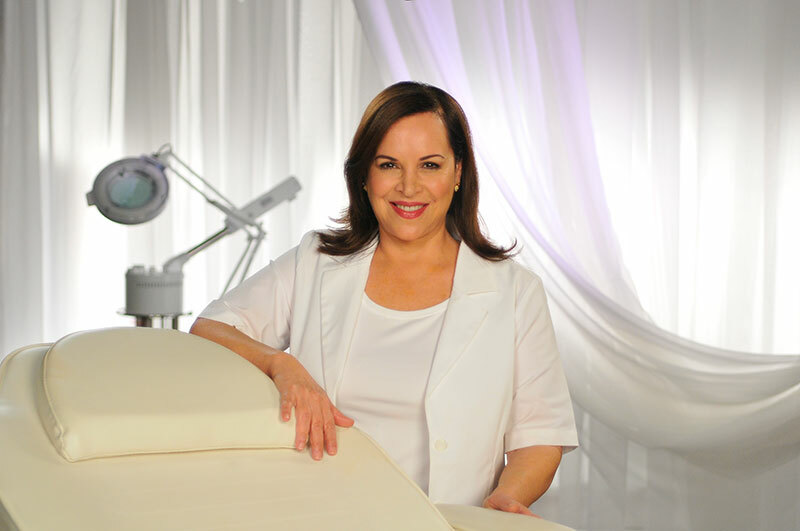 MTF: What are some highlights from your Susan Ciminelli Range? Anything special we should know about? Susan: Some of the highlights are the algae deep cleanse, the pore minimizing scrub, the hydrating formula essential oil, the seawater, marine lotion and all of our moisturizers are awesome because they are not heavy. They penetrate very well and leave the skin with a radiant glow. And of course the new 123 Glow kit. Women love it because it is only $29.95 so they can afford to do it as often as they want.